Instead of celebrating the biggest number of female athletes competing in this year Olympic games in Rio then in any other Olympics, as the sign of moving towards gender diversity in sport, some media outlets slipped (again) into sexist coverage. Several media around the world have proved that discrimination against women in sport, as well as against women journalists reporting on sport events such as Olympics, is still present. 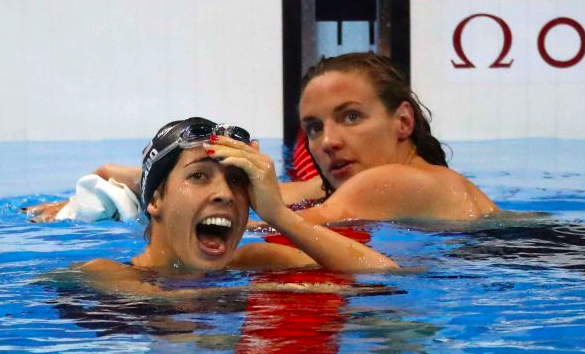 When Hungary’s Katinka Hosszu won the gold medal and broke a world record in the 400-meter individual medley, NBC showed a split screen of her cheering husband and coach Shane Tusup. Commentator Dan Hick suggested that this was “the guy responsible” for her victory. A healthy democracy is partially dependent on its public service media, according to a new research by the European Broadcasting Union (EBU), the world’s leading alliance of public service broadcaster. Based on data from 25 European countries, the EBU report shows the positive impact that strong publicly funded television and radio has had on voter turnout, control of corruption and press freedom. 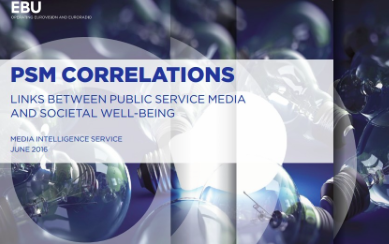 It also says that there is a strong correlation between a country’s public service broadcaster’s market and the demand for right-wing extremism. 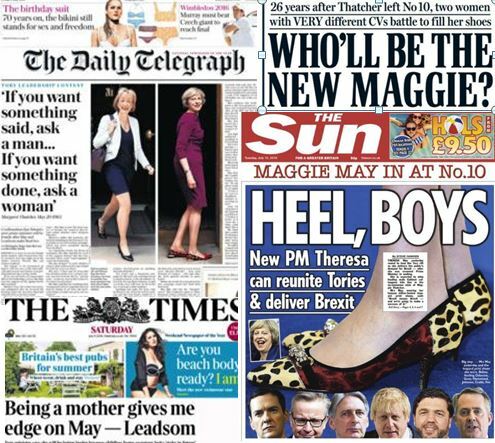 Some British media could not avoid falling into stereotyping and gender insensitive reporting when Theresa May took over the job of the UK Prime Minister. The fact that her rival in the race for 10 Downing Street was another woman, Andrea Leadsom, propelled articles on shoes, cooking and motherhood. Instead of focusing on candidates’ policies, ideas and work, some tabloids but also BBC and the Telegraph slipped into textbook stereotypes about female politicians. Profiling Theresa May and giving reasons why she should be the Prime Minister, the Telegraph reported: “She’s been married to the same man since 1980 (morally sound: check), doesn’t have any children (could be a turn-off for some but it does mean she’s less likely to be distracted on the job). She cooks a new recipe every week and goes to church every Sunday: she knows there’s more to life than Westminster”. 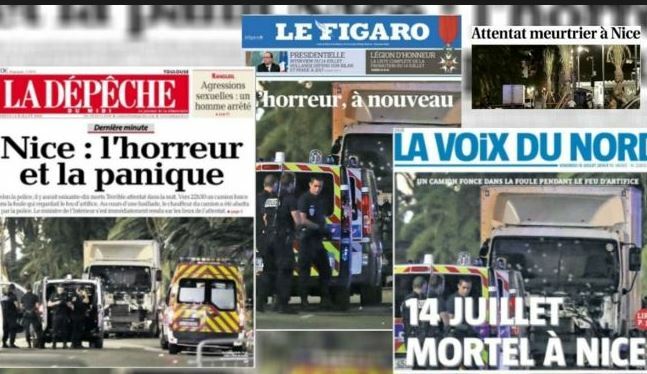 A day after several dozens of people were killed during the attack in Nice, one of the main French public television channels, France 2, apologised for its coverage during the night. TV France 2 apologised for broadcasting “shocking images and testimonies” during its special programme. “Broadcasting graphic images does not comply with the conception of information that our journalists and the whole team have,” states the French television explaining that “special circumstances led to an error in judgement”. But “special circumstances” such as natural disasters, terrorist attacks and catastrophes are part of everyday media reporting. There are many guides and ethical codes for journalists on how to report in these situations. Why then the media repeat their mistakes? Media sensationalism and journalists’ chase for information additionally sped up with unchecked facts coming sometimes from unreliable online sources, may lead to toxification of the public sphere. It was the deadliest mass shooting in the US since the 9/11 attacks. That is the fact that every reporter could agree on. Almost everything else in the media coverage of the mass killings in a gay club in Orlando was subject to interpretation. 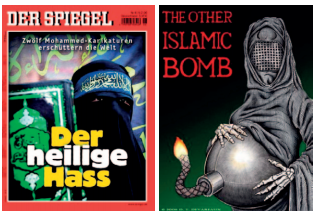 In the worldwide media coverage a few key angles stood out: homophobia, Islamic terrorism, mental illness and gun control. 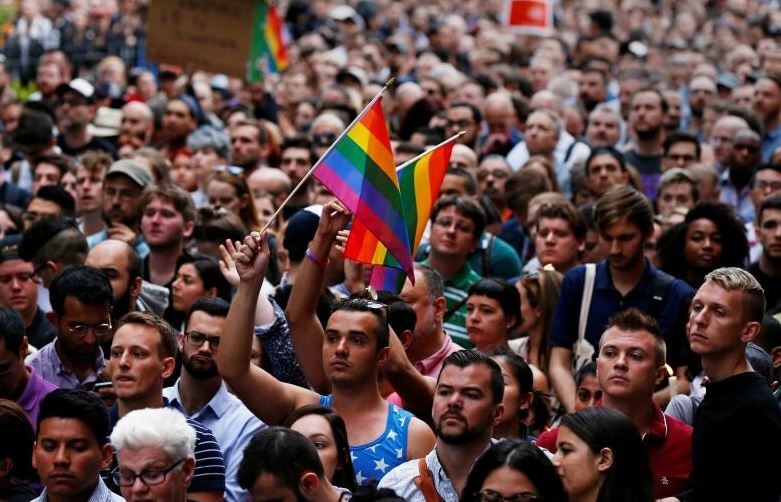 By simplifying and rushing to give answers in the early hours after the attack, some media not only gave a false portrayal of what happened in Orlando including who the attacker and his victims were, but also jumped into stereotypes and stigmatisation. Answers, let alone simple answers, weren’t available. The stereotypical binary representation of Muslim women as either oppressed or dangerous prevails in the media in Europe, a new study by ENAR (European Network Against Racism) shows. Many news stories related to Muslim women are related to violations of women’s rights, which contributes to constructing negative stereotypes within society, states the European report “Forgotten Women: the impact of Islamophobia on Muslim women”. Muslim women are perceived to embody a homogeneous group, with no distinctions, supporting domestic violence and terrorism, homophobia, gender inequality and traditional gender roles. “Such a framing of Muslims as a ‘problem’, with a particular negative attention to women, contributes to creating a fertile ground for discriminatory practices and violence on the ground,” says the European comparative report.